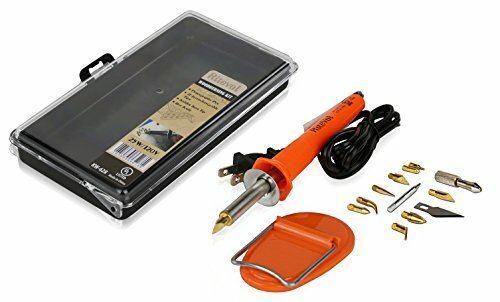 VARIETY OF TIPS – This wood burning kit comes with a variety of tips that makes it perfect for a variety of jobs. The tip of the iron are interchangeable and can be easily replaced. 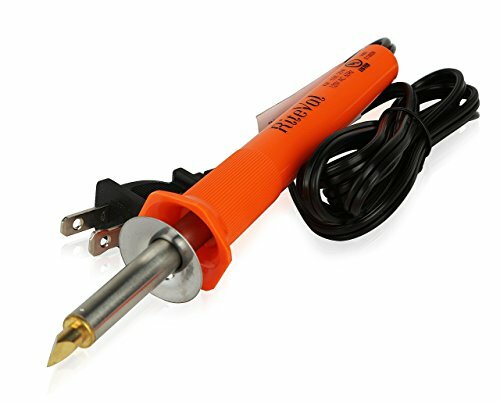 It comes with a number of attachments – 9 wood burning tips and an embossing tip. The outstanding barrel tips allow you to create a lot of cool effects for a variety of artistic work. 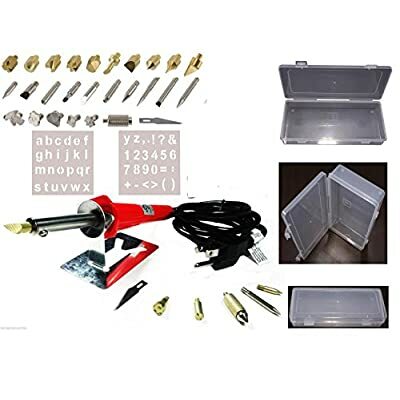 MULTI-USE – From the wood burning to carving your name on leather, you can use this artistic iron kit to create some incredible work. Thanks to the variety of tip attachments, you can choose the best tip for any particular task. 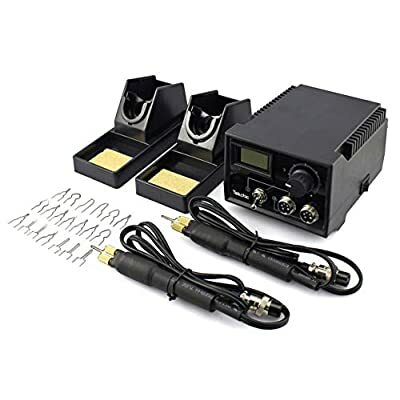 It is a perfect kit for beginners who are interested in trying woodburning, leather crafting. 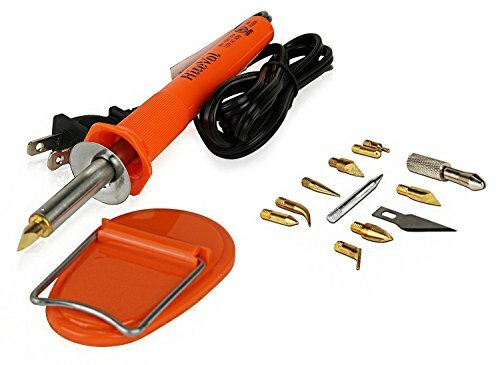 Are you looking for a perfect wood burning kit for pursuing your hobbies? Are you looking for a mini short barrel iron that is easy to maneuver? Well, look no further because we have a perfect wood burning kit that you can use for pursuing your hobbies and crafts. 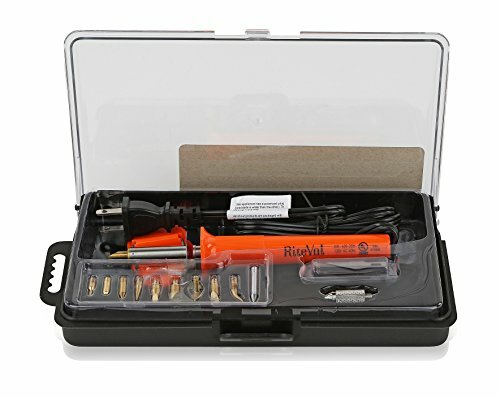 RiteVal short barrel wood burning kit is easy to handle and use. 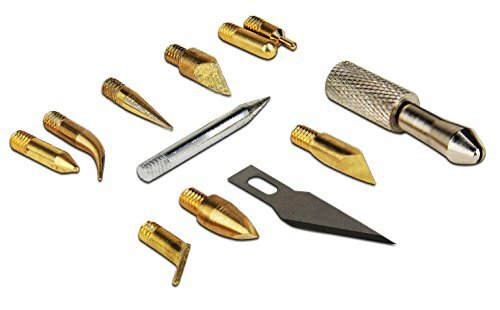 The wide variety of attachment tips gives you artistic freedom to produce your perfect piece of work. Give form to your artistic ideas This wood burning kit is a great tool for a hobbyist who work on a variety of crafts from the woodwork to leather embossing. Use this incredible tool and give form to your artistic idea. Easy to use Even if you are a novice wood burner, you will find RiteVal easy to use. It quickly heats up and gets very hot. It comes with different bits for different techniques and a carry case to keep all the bits organized. 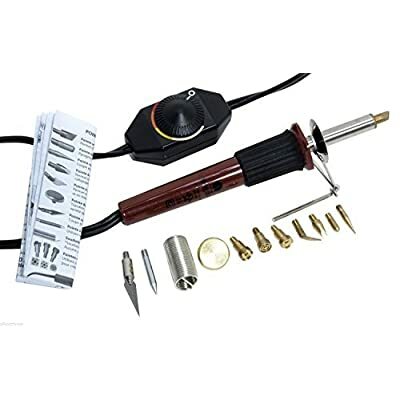 The Wood burning Kit consists of ✓ A Short Barrel Iron ✓ 9 Woodburning tips ✓ An Embossing tip ✓ A Hot Knife ✓ A Tool Stand ✓ A Carry Case so what are you waiting for? 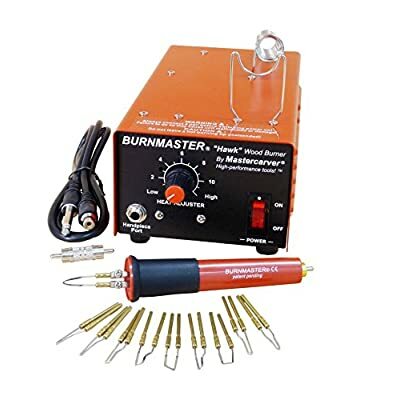 ORDER NOW to get this short barrel wood burning kit which can be used on a number of surfaces from wood, leather to hard plastic and many other surfaces and make some incredible products with cool effects. 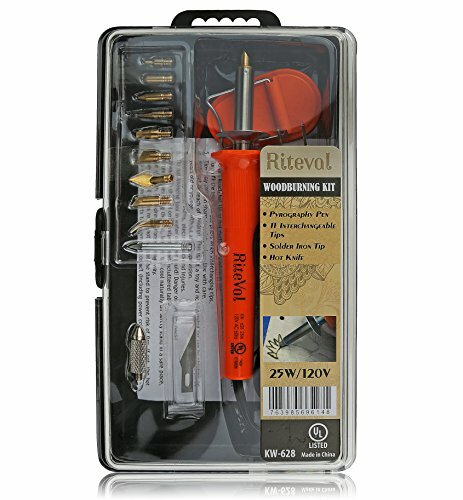 STURDY CARRY CASE – RiteVal wood burning kit comes in a solid case to keep all the items organized and handy. It a great way to keep everything in one place without losing anything. The durable Organizer case makes sure that you don’t have a mess of pieces lying around in the house. 100% RISK-FREE SATISFACTION GUARANTEE – We offer you 100% risk-free satisfaction guarantee to let you buy with confidence. No questions asked. However, we are quite sure that you will love this incredible wood burning kit. So, ORDER NOW and get the best value for money.